What's new with chicken? 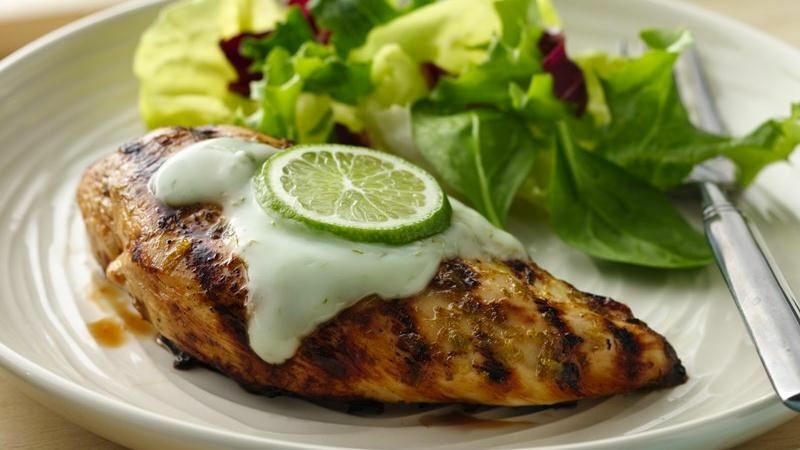 Marinate it, grill it and top it with a creamy yogurt sauce. 1 In large bowl, place chicken breasts; add margarita mix and 1 tablespoon lime peel. Cover; refrigerate 30 minutes to marinate chicken.